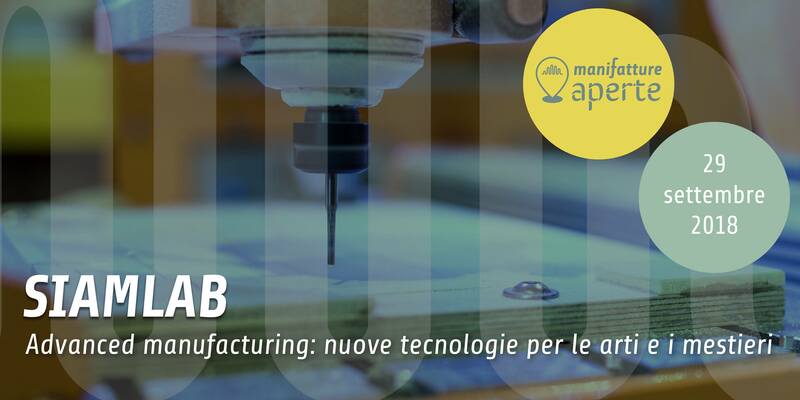 On 29 September 2018, the City of Milan organises the first edition of MANIFATTURE APERTE: a day of guided tours, workshops and meetings to discover the places of industry, craftsmanship and technology 4.0 in and around Milan. 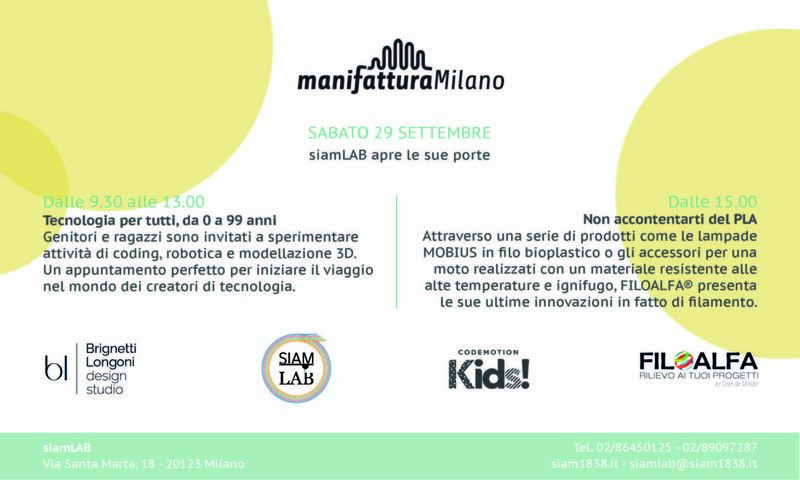 The Studio has been involved by siamLAB, the new advanced manufacturing laboratory founded by Società d’Incoraggiamento d’Arti e Mestieri (SIAM), to explore the connection between material and function in 3d printing. 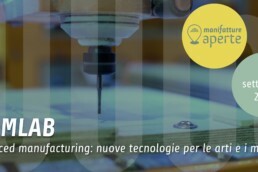 This historic institution is the setting for Mobius, the lighting installation realized in collaboration with Codemotion and FILOALFA. 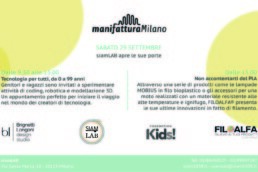 SiamLAB, via Santa Marta 18, Milano.